Edgar Allan Poe is in many ways the most internationally respected American author, being both creatively unique and the fountainhead of so much that followed, unlike other well-known US authors who seem to trail after their European models. 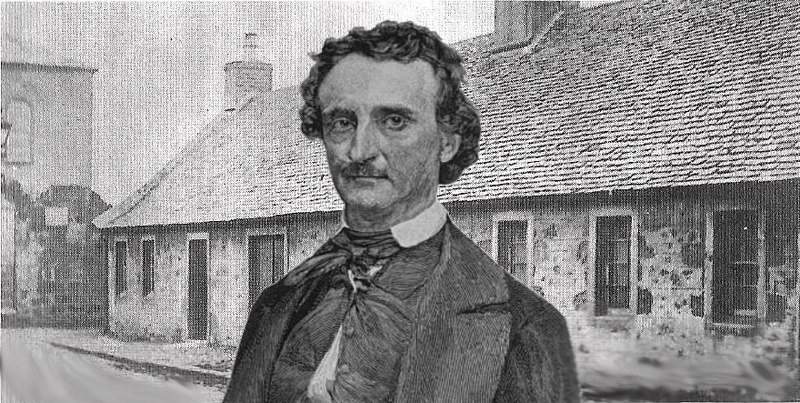 A key period in Poe's life happened when the great writer was at the impressionable ages of 6 and 7, when his guardians brought him to the town of Irvine, where he stayed for over a year and almost two. 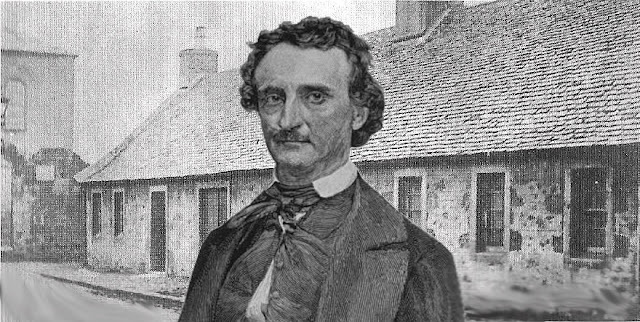 Poe's own parents had both died when he was an infant, and he had accordingly been adopted by the Irvine-born tobacco merchant John Allan. The Allan family came to Irvine in 1815, at a time when Britain was actually at war with the United States, and the Allan family stayed in the UK until 1820, when they returned to the United States. In Irvine Poe stayed with "his aunt" John Allan's sister Mary Allan at Bridgegate House, a two-storey tenement building, before going down to London sometime in 1816 to join his guardians. During the almost two years he spent in Irvine, he attended the the old burgh school at Kirkgatehead, on a site now just outside the main gate of the old parish church. 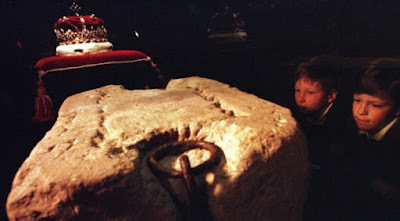 It is said that the teachers used to send the pupils into the neighbouring graveyard to write down epitaphs. At this time, Irvine was also haunted by a notorious gang of body snatchers. Doubtless these themes of death and forcible resurrection must have impacted on the future writer's highly sensitive mind. Another influence was Dean Castle in Kilmarnock, which Poe is believed to have visited several times. 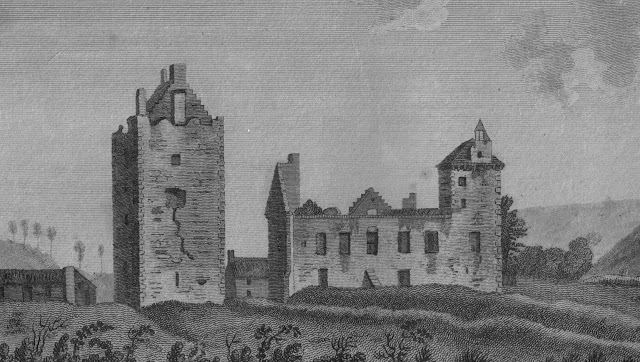 At that time the castle was a burnt-out ruin, having been destroyed by fire in 1735. This theme of a great house destroyed by fire, was to surface in Poe's tale "The Fall of the House of Usher." As for Poe's poetry, it is hard not to think that he was influenced by the great Ayrshire poet Robert Burns and what is perhaps his most famous poem, "Tam O'Shanter" which tells the tale of a drunken man hotly pursued by witches from a ruined church.